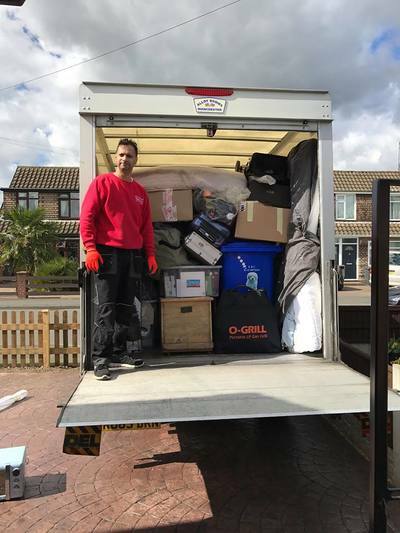 Welcome to Nottingham Man and Van, we are a Nottingham based house removals company and undertake house and office removals and a man and van hire services, local also long distance removals undertaken. 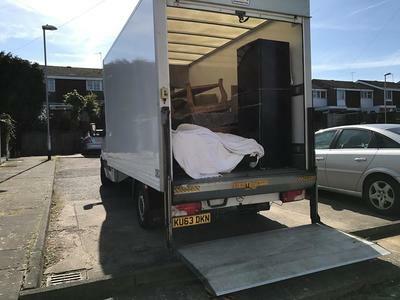 Our removals are carried out by experienced friendly removal men you can trust and rely upon, Were not just a man with a van we can provide up to three experienced removal men for the larger house removals. ​We work in a neat and careful manner and provide hourly rates or if preferred fixed quotes with no hidden charges, below you will find more information on the services we provide. 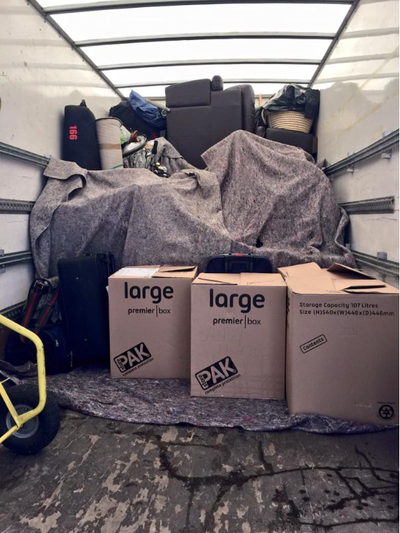 A simple service with no hassle incurred as we will try to make the move as less stressful as possible for you. We have many very satisfied customers and a large requiring customer base due to our timekeeping being friendly and providing affordable realistic removal quote's with no hidden fee's. ​We have multiple commercial vehicles to undertake single items removals through to local or long distance removals using a 7,5 tonne lorry if the job requires, We are here to serve you well and will take great care of all your belongings like they are our own. We have undertaken all types of removals over the years and are experienced in what we do, we have up to three experienced removal men here to help you move home or office and work with a friendly and polite attitude at all time's. We have moved many people all over Nottingham and are highly respected in what we do as we are hard working provide realistic quotes and offer a good quality service to all if it be a single item or a full house move. We will treat you and your items with respect so please call today, or please use our removal quote form, preferred as we can work out the costs and call you back with a quote. We hope to here from you soon Regards Paul. We aim to please, When it comes to house removals we understand how stressful the whole situation can be, so from our side all we can do is to be on time, the agreed time and to look after all your items, and move you in a timely but safe fashion so items don't get broken, and also sticking to our fixed quote. We will take great care of your items in transit, we have ratchet straps removal blankets and trolleys for safe movement of heavy items, all items will be blanket wraped and secured down in the back of our van. Man with a Van Nottingham. As sites such as eBay, Facebook and Gumtree are becoming more and more popular, more and more people are requiring man and van services. 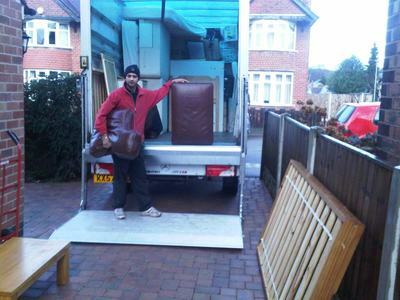 Nottingham Man and Van provides a local service within the Nottingham area. We provide a professional service, big jobs or small. Our services are competitively priced and tailor made to your specific transit needs, from furniture collection to small to large house and student moves we cover all basis & area's in Nottingham for long or short distance travel. Our Man and Van services are perfect for collecting eBay purchases, furniture storage, rubbish removal & home relocations. We have a wealth of experience, we treat all items with the dignity and respect they deserve (You can trust us with your wedding china). All our removal men go through thorough checks before they join our talented team of labourers. The majority of our business comes from repeat clients who recommend our services thanks to our fit and able removal men who are more than capable to transit your goods. We operate 7 days a week and our services can be tailored to match your busy lives with our timely, reliable, fast service. We're a reputable Nottingham based company, offering a quality, friendly and reliable service who will handle your items with the utmost care. 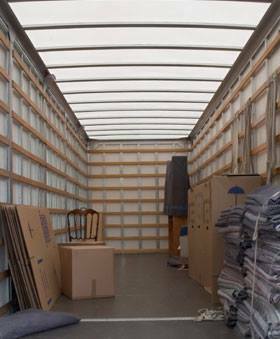 From fine china to grand pianos, to 50” LCD Smart TV's we have the knack and know how to safely move your item's in our clean fleet of different sized vehicles using moving materials such as blankets, ties, straps and furniture padding. Removal Cost – The cost always depends on the man and van service you require. For larger jobs, we are able to provide more than one man to reduce loading and unloading time and reducing cost! We will NEVER charge more than we need to complete a job. All jobs commercial and domestic are fairly and competitively priced. We will aim to match or beat any quote you've received off other removal companies in Nottingham. 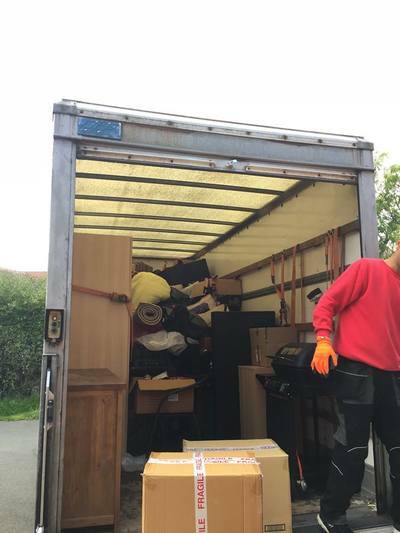 Rubbish Clearance Nottingham – If you need our rubbish removal service to take items or refuge to the tip for you there may be an additional charge for the addition to the quote, travel time and disposal fees, ideal if you have unwanted item's you do not want to take with you. How to Lift – NEVER try to lift an item that may cause a strain or injury. All of our labourers are fully trained with the latest manual lifting procedures to minimise the risk of injury. Insurance – Relax! We're insured! Just ask for our public liability insurance details so you're safe in the knowledge that we won't be disappearing with your belongings. We are fully covered, if any accidents should happen and your items get damaged in transit. We are Available for both commercial and domestic services, designed to take the stress out of moving or collecting items that require considerable manual labour. Don't put yourself out. Allow the best man and van service in Nottingham to take care of it for you. No mess. No fuss. No stress. If you're faced with the dilemma of moving, the most daunting prospect is having to pack up your life, and take it to your new property in the vain hope you'll arrive with all of your belongings in one piece. We've all heard horror stories of removal companies in Nottingham letting people down on the day, breaking their collectables, or just being plain nightmares, charging the earth. It's no wonder moving to a new house is one of the most stressful events we face in our life times, on par with getting married and having children, it's a major financial commitment. Which solution is best for you? Our company offers a multitude of moving solutions to ensure our removal services are tailored to your individual needs. Some movers prefer to keep the cost of moving low and save on the physical manual labour by loading the van themselves & unloading at the other end.We offer a comprehensive range of services to suit a variety of budgets, timescales and type of move. There's no job too big or small for our removal company. From small one bedroom flats, to large commercial moves we will have the right solution for you. If you require storage solutions before moving home, we're more than happy to move your possessions into storage if required before moving you into your new home. Our service runs 6am to 11pm a day. 7 days a week. Our moves can be priced on an hourly rate or usually preferred a fixed quote so you can budget the cost, . We pride ourselves on running a personal and friendly service. We're fully insured to move your most prized possessions. Please enquire about our specialist furniture moving service if you have items such as grand pianos to move etc. Hope to here from you soon. Please call or Email paul today for a free no obligation quote and to see how we can help you today thank's. Moving house can be quite expensive, and removal and packaging boxes can also be very expensive, We currently don't provide a packaging service and we are asked almost daily were is the best or and the cheapest place to buy removal boxes from, We have done our research and have found you can buy cheap removal kits with all the necessary utensils sent to your house in most cases next day at a price most removal companies cant match, unless they say its for free in fact its not they add the price to there fixed quote in most cases. You can find on Amazon, please before purchase please check customers reviews so you no you will be getting a good quality removal boxes, hope this help with your budget.